April 7, Aalborg, Denmark: Danish promotional outfit EuroEvent staged its inaugural show at the Kongres & Cultur Center tonight. Jr welters Kasper Bruun and Kim Poulsen headlined against Georgian opponents, who both came in on short notice. Bruun outscored experienced journeyman Nugzar Margvelashvili over eight. It was scored 79-72 on all cards. Bruun started well and floored Margashvili with a body shot in the fourth but faded after that and was rocked in the sixth. Both were cut after a clash of heads in the last round. Bruun, formerly with Sauerland, is now 13-0-1. Margashvili is according to Fight Fax 11-15. 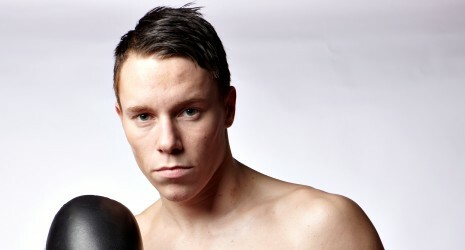 Poulsen stopped Beka Sadjaia in the second in a scheduled eight rounder. Sajaija was floored twice and in serious problems as Poulsen poured it on and then complained of an injured arm. A time out followed and Sajaija´s arm was inspected by the doctor and it was then stopped. Poulsen is now 20-1 and looked sharp while it lasted but Sajaija´s performance was disappointing. Middleweight Abdul Khattab turned pro with an explosive second round knockout over much smaller and awkward Lithuanian Sergej Drob. Drob´s style apppeared to give Khattab some problems but then Abdul found the target with a right hand and Drobs went down and ruled out as he got up. Khattab is trained by Ricard Olsen, who trained Kessler from day one up until 2010, and yes, talks of a New Kessler have been heard. Stephan Alms, also at middleweight, made his prodebut with an all too easy stoppage over much smaller Lithuanian Andrej Cepur, who was floored twice before being stopped at 2.08 of the first. EuroEvent is headed by Allan Bach, who works for Mikkel Kessler and the Viking Warrior was on hand along with many other greats from Danish boxing scene such as Jorgen Hansen, Borge Krogh, Gert Bo Jacobsen, Soren Sondergaard, Jimmi Bredahl and Mark Hulstrom. This was a pro-am show with the semifinals in the Danish championships proceeding the pro part of the show.